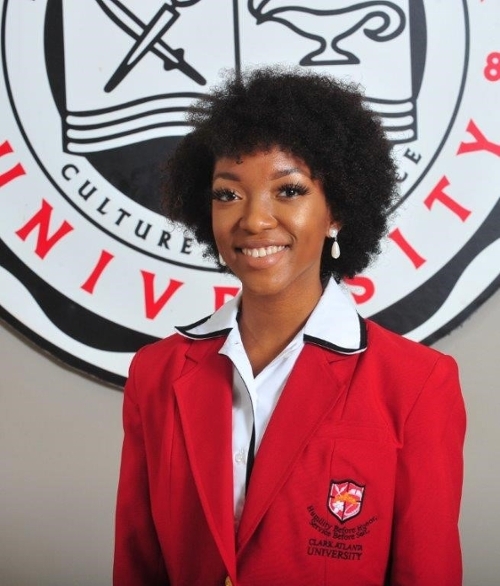 ATLANTA, GA – February 5, 2019 – Clark Atlanta University (CAU) is pleased to announce that Miss Schuyler Nickleberry, a junior majoring in Mass Media Arts, has won the 2nd annual African-American Film Critics Association (AAFCA)’s 72 Hour Build-A-Film Challenge, sponsored by The Home Depot’s Retool Your School (RTYS) program. Ms. Nickleberry will be recognized at the 10th Annual AAFCA Awards in Los Angeles, CA on Wednesday, February 6th, 2019. Schuyler was selected as a finalist after pitching her film idea with a 30 second concept snippet starring CAU’s 2018-2019 Man of The Year, Moses Kilpatrick. Ms. Nickleberry wrote, produced, directed, and starred in an original 5-minute short film, titled "REBUILD," inspired by the brave and powerful Atlanta University Center (AUC) students who led in the Atlanta Student Movement in the Civil Rights Era. Over the course of three days, she selected her cast, scouted and secured locations in the AUC, shot and edited the film. Since 2009, the Retool Your School Program has provided over 2.1 million dollars in campus improvement grants that allow Historical Black Colleges and Universities (HBCUs) to make sustainable improvements to their campuses. The African American Film Critics Association 72 Hour Build-A-Film Challenge is a nationwide creative competition for young aspiring film makers to enter a film concept promoting the virtues of HBCUs. Contestants were given three days to create a film based on the theme "HBCU Legacy" and tie that in with the Home Depot RTYS Program. As the grand prize winner, Ms. Nickleberry receives an all-expense paid trip to Los Angeles, where she will be recognized at the 10th Annual AAFCA Awards on February 6th, 2019. The AAFCA Awards is a premiere event on the Hollywood Awards Calendar that celebrates achievements in film and television and is considered a prime indicator for the Academy Awards. Watch and share Ms. Nickleberry’s short film REBUILD here. The African American Film Critics Association represents the leading black film critics in the world. The organization represents journalists who work in TV, radio and online, who reach a collective audience in excess of 100 million. Learn more at www.aafca.com. The Home Depot strives to give back to our nation’s Historically Black Colleges and Universities (HBCUs) what they have so generously given to their communities - a strong foundation, renewed purpose, and distinctive character. Since 2009, the Retool Your School Program has provided over 2.1 million dollars in campus improvement grants that allow HBCUs to make sustainable improvements to their campuses. Learn more at retoolyourschool.com.